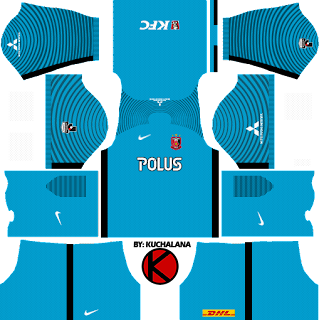 Get the Urawa Red Diamonds (浦和レッドダイヤモンズ Urawa Reddo Daiyamonzu) Nike kits seasons 2017 for your dream team in Dream League Soccer 2017 and FTS15. 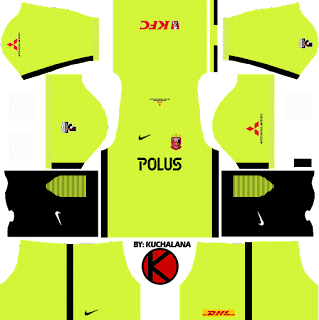 Urawa Reds announced the new uniform and uniform sponsor of the 2017 season on January 11. "Mitsubishi Heavy Industries, Ltd." for the upper back and ACL chest sponsor, "Nippon Kentucky Fried Chicken" newly appeared in the back hem. "Mitsubishi Motors Corporation" changed from upper back to sleeve. Supplier is "Nike" following the previous model. 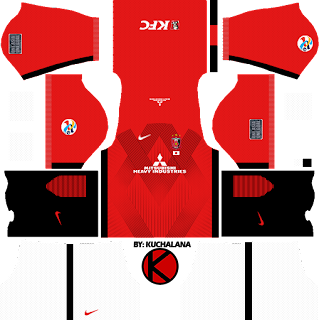 Home marked red with a red tone and marked the 25th anniversary of the club and drawn the graphic of Roman numeral "XXV" representing 25 as a front with 12 pinstripes representing a bond with the supporter. In addition, in the diamond of the front is arranged 25 pin stripes commemorating the 25th anniversary. 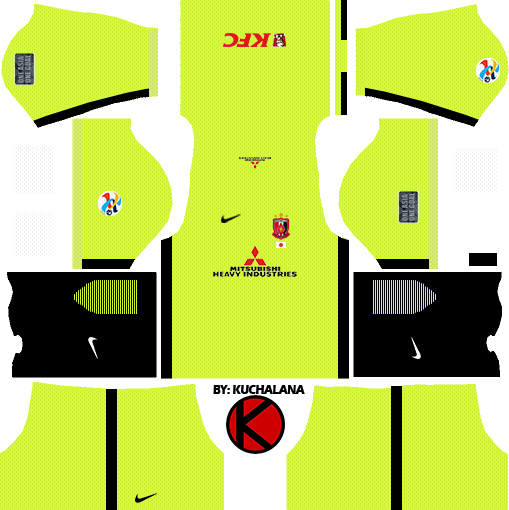 Away is the first adoption in the history of the club with the bolt color tone inspired by the yellow soccer balloon of the club emblem. Goalkeeper announces a model of green tones. The ACL home model is "Mitsubishi Heavy Industries (Mitsubishi Heavy Industries, Ltd.)" instead of "POLUS (polos)" as a chest sponsor. 1 Komen untuk "Urawa Red Diamonds 浦和レッドダイヤモンズ kits 2017 - Dream League Soccer"